Add something different to your kitchen with this set of 3 airtight storage jars. Vintage design with safari animals illustrated on each pot. 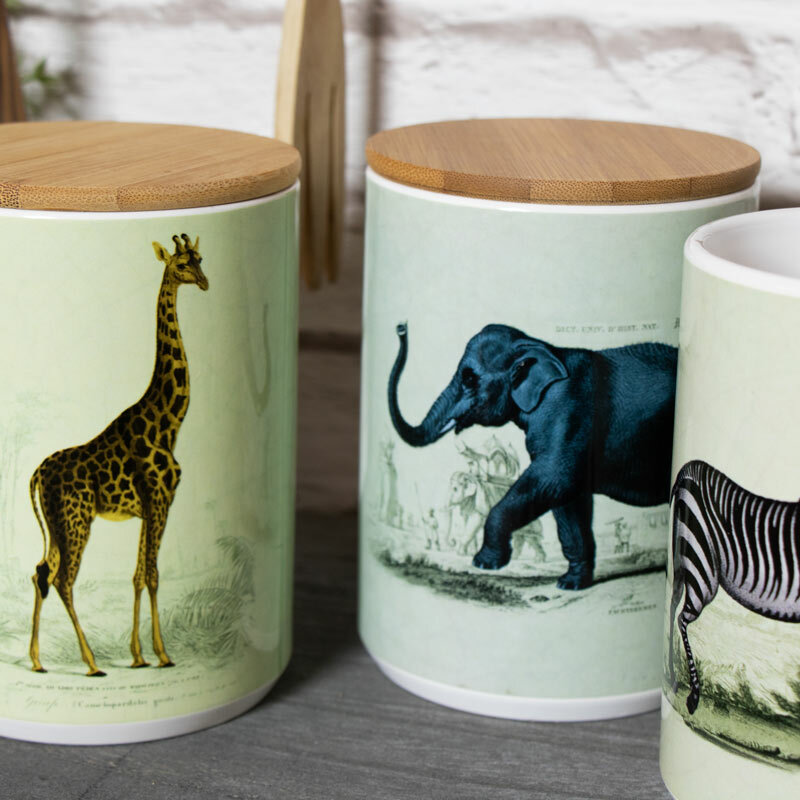 These charming pots come in a set of 3, each with a different animal pictured of an elephant, zebra and giraffe. Vintage, botanical design that will appeal to animal lovers. These are perfect for storing food or your tea coffee and sugar with airtight lids. A great gift idea for the animal lover or a treat for yourself. Check out our other safari related gifts for a great look. Add something different to your kitchen with this set of 3 airtight storage jars. 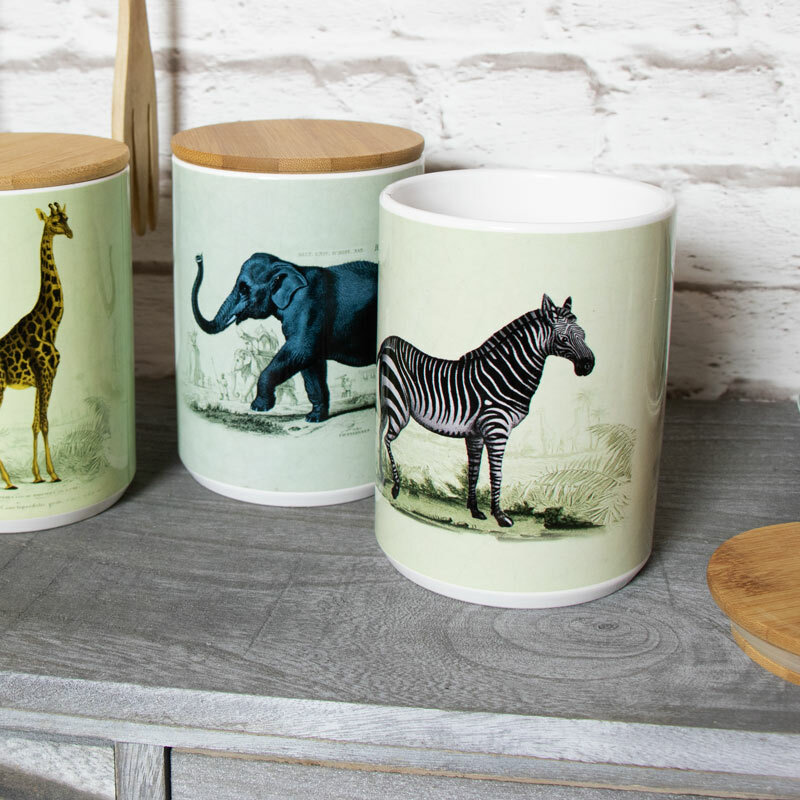 Vintage design with safari animals illustrated on each pot. 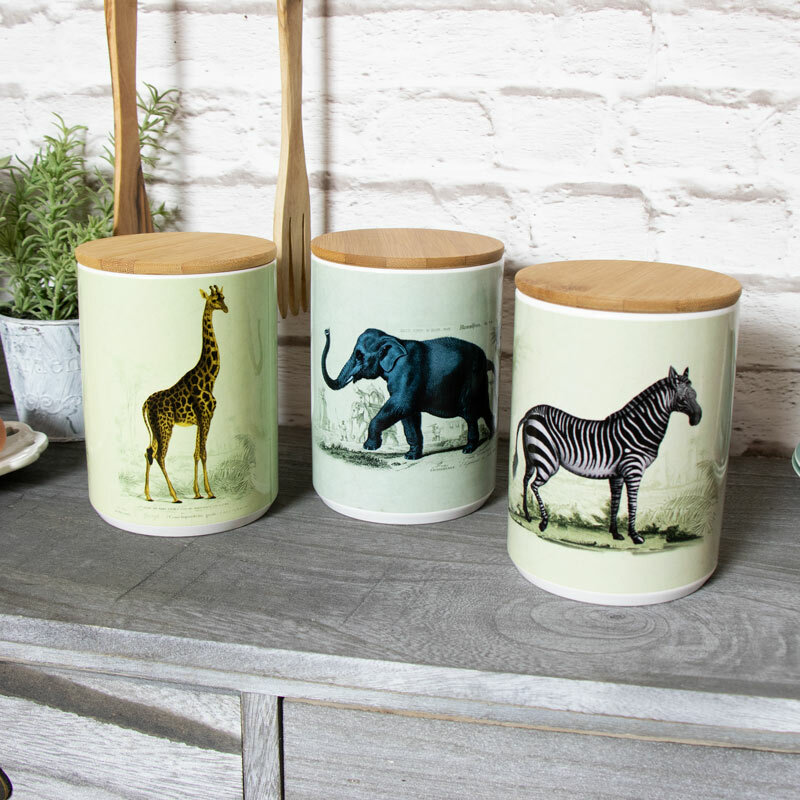 These charming pots come in a set of 3, each with a different animal pictured of an elephant, zebra and giraffe. Vintage, botanical design that will appeal to animal lovers. These are perfect for storing food or your tea coffee and sugar with airtight lids. A great gift idea for the animal lover or a treat for yourself. Check out our other safari related gifts for a great look. Made from dolomite with a glazed finish. Each jar comes with a wooden airtight top. For great gifts and home accessories, we have the most wonderful choice. Gifts for family and friends so you'll never be short of ideas again!